The latest edition of GQ magazine featuring Communications Minister Malcolm Turnbull. 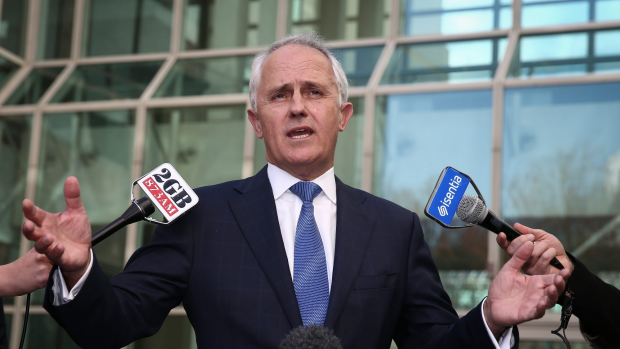 Malcolm Turnbull may just be Australia's most handsome politician. But will that help him win any votes at the upcoming election? The science says... yes. The Prince of Point Piper was termed "equal parts man-eater and lady-killer" in a early this year that only helped cement his status as Canberra's handsomest pollie. The silver fox also won Crikey's sexiest male politican four years in a row – although he was controversially pipped this year by Greens MP Scott Ludlam. Even the Instagram account #tonyabboteats has been changed to . But those plaudits are more than just skin-deep. A long line of studies makes a very clear link between the perceived physical attractiveness of a candidate and their voting success. "You underestimate the role of superficial things like facial appearance at your peril," says Professor Nick Haslam, head of Melbourne University's . "Certain kinds of faces are more electable than others. People who look stereotypically competent tend to win elections." Indeed, so deep is this association that you don't even need to know anything about the candidates to predict their success. , children in Switzerland accurately picked the winner of the French election by picking the face they liked the most. In another, people were able to pick the winner of US Congressional races after viewing the faces of candidates – for just one second. Take the first televised US presidential debate in 1960. , Richard Nixon won over those listening on radio. For TV viewers, the tall, tanned figure of John F. Kennedy was the clear winner over a sweaty Nixon. Turnbull can take advantage of the genetic luck that his gifted him with large eyes, smooth skin and a symmetrical face – all factors that are scientifically proven to translate into attractiveness, according to Prof Haslam. "He's got an attractive face, but it's also a competent sort of face. I would not call it a hyper-masculine sort of face, whereas Tony Abbott's is more craggy, with a prominent nose - the sort of things that suggest dominance. "It's not a Rudd-esqe baby face, it's a little bit softer, and probably a little bit less threatening for that reason." GQ has devoted its glossy front page, usually the province of handsome celebrities and models, to Turnbull twice – and both times he's been a bestseller, says Nick Smith, the magazine'sGQ's editor in chief. "At our photoshoot, he just came across as presidential," Smith says. "He comes across so eloquently. We sense that there is substance behind the style." Smith says Turnbull embodies the "sophisticated man" GQ is writing for. "He is, except he loves wearing that leather jacket on Q&A – which we told him to stop wearing. "Apart from that he's very well put together, something that we kind of call casual luxury. He can put together a nice charcoal suit and blue tie, but if you see him striding down outside his luxury mansion with his dog he could be on the French Riviera." Scientists are split on the cause behind the link between attractiveness and vote-winning. For years, the theory was it was linked to something called the "halo effect" – the basic nature of the brain to attribute positive characteristics to physically attractive people. , a group of American researchers have been linking that to a subconscious and evolution-bred trait for individuals to prefer those with outward indicators of health: smooth skin, shiny hair, facial symmetry. "Our ancestors frequently confronted devastating epidemics that wiped out many of the members of their groups; at such times, having a healthy leader might have been particularly important," the researchers write. It's worth noting that when appearance is a factor in political decision making, the results are significantly exaggerated for female candidates. A survey of 1500 people by found that as soon as a female candidate's appearance was mentioned – either positively or negatively – it had a negative impact on her rating. For female candidates, "the strongest situation in favourability and vote likelihood is when appearance never comes up".